This talk was presented to a local audience at TEDxPuget Sound, an independent event. TED’s editors chose to feature it for you. If you are going to build a successful business of any kind of size, you need to know how to lead people. 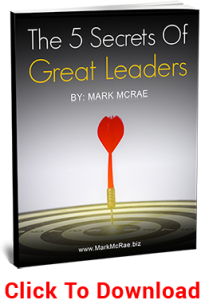 Download my latest FREE report and discover the Top 5 Secrets of Great Leaders. CLICK HERE to Download. 80% of success is this!